I'm looking to get a complete 6.5g upper and want to shoot moa or better and stay under a grand. Hunting, target, home defense(to a degree). Looking for opinions on quality companies. So far considering odin works and sons of liberty. Tried searching a bit, and some info is dated and has had some mentions of qc issues here and there( how true dont know, wasnt nothing overwhelming by no means). Some with experiences first hand or by friends would be appreciated. Wont pull up, I'll try that again myself and leave 6.5 out and see if I see some different ones. Larue ultimate upper is your best bet under 1k. It basically fine with everything but the lower. You can do the whole rifle for close to 1k. 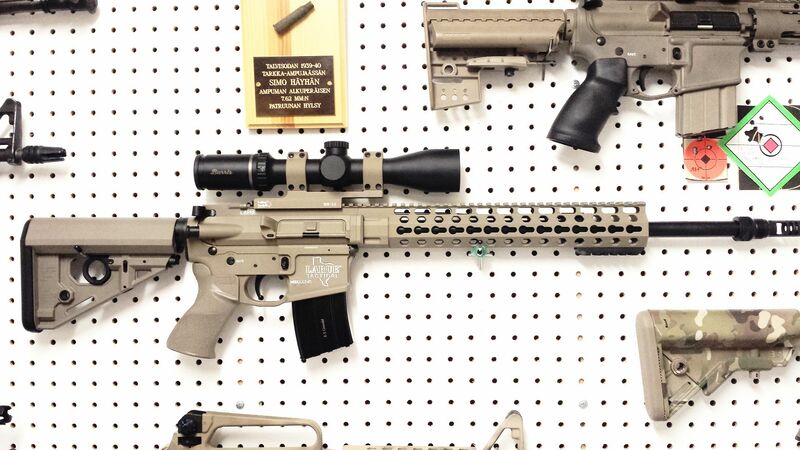 LaRue Ultimate Upper kit is the deal to beat in the industry currently for $792. You get all billet construction with upper-to-handguard mating that is extremely solid, only outdone by the LMT MRP, but way lighter than the LMT. None of the handguard touches any part of the barrel, barrel extension, or barrel nut. You get the improved gas system with dimple-ready mate-up/gas tube/gas tube ferrule, MBT-2S trigger, excellent 7075 T6 RET, RAT stock (which I wish I would have put hands on years ago versus dismissing it), BCG, 18" medium-heavy barrel, Tranquilo muzzle brake (works very well without the obnoxious side blast common with most gilled brakes), LPK, CH, buffer, action spring, APEG grip, barrel nut, and wrench-everything but the stripped lower, which you can then order separately. I'm also interested in a Grendel upper. I currently have a Daniel Defense M4v7LW in 5.56. Can I just swap out the two uppers or do I also need to change out the buffer and spring? Thanks. You HAVE to replace the BCG or at least the bolt. The buffer and spring should be fine but probably could be optimized if you played around. The entire lower is compatable though. You can take an existing 5.56 upper, swap out the barrel, bolt, and magazine and you should be good to go.